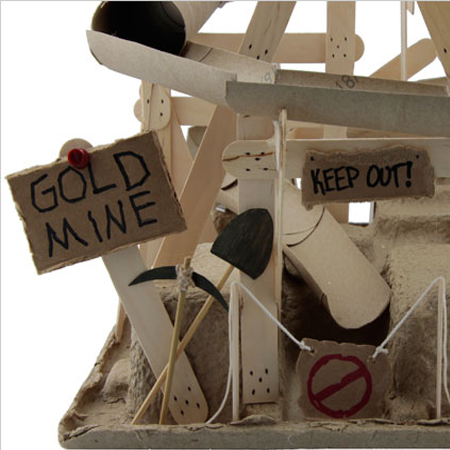 Here's a great holiday project where the kids can use their imagination and be creative when making this project. The foundation for this project uses a cardboard cellphone box mould, but you can quite easily substitute another item by looking around. The idea behind this project is that there is no wrong or right way to make your marble slid - start building and see what you end up with! It is best to start building the project from the bottom and work your way to the top. 1. Cut your toilet paper tubes in half (lengthwise). 2. On the base layer the toilet paper tubes in an upward angle. 3. As the building gets taller you will need to start building a frame. Glue your ice cream sticks securely to the sides of the base. 4. 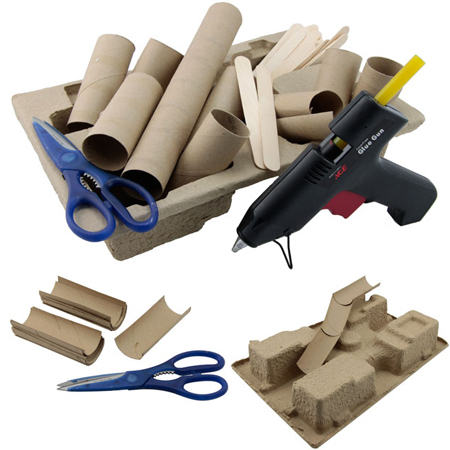 The toilet paper and paper towel tubes are very light so don’t worry about making your frame too sturdy - just no wobbling. Make sure that each toilet paper tube overlaps the one underneath. 5. I like to use the larger paper towel tubes for the straight parts of my slide. 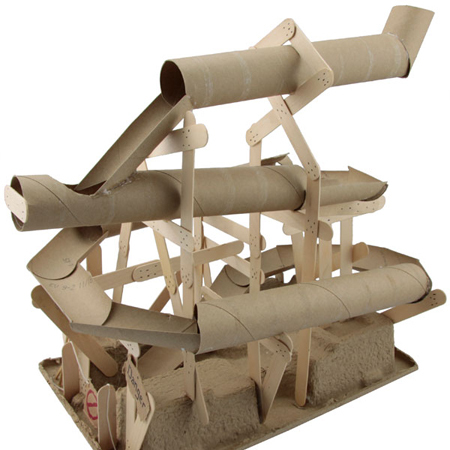 You could build a really long slide instead of a spiraling one! 6. Add curves by trimming the tubes to make them fit. Don’t be afraid of using extra glue or sticky dots! 7. 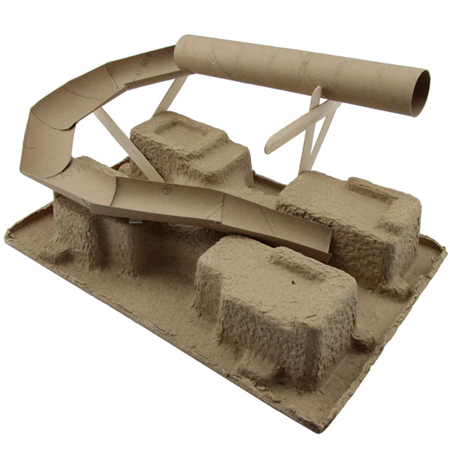 The last piece you’ll need is 'the drop' where you will pop your marble into the slide. A paper cup or a shortened tube works great. Make sure your drop piece is angled down sharply so that your marble can gain speed and momentum. The final touches are all that’s left! Make some signs out of cardboard and some tools from two toothpicks and some paper. 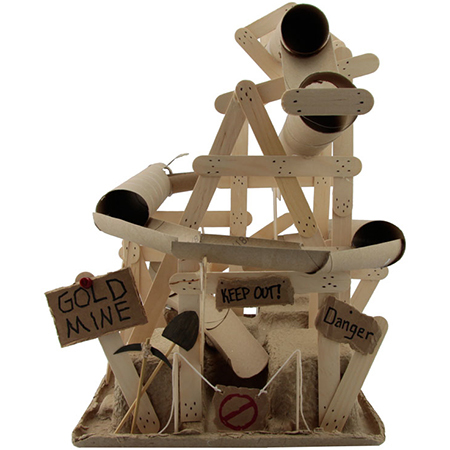 Now you have an awesome Mine Shaft Marble Slide! 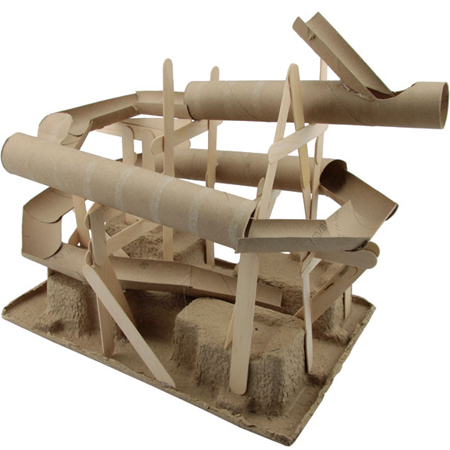 As an alternative you can make a roller coaster slide - it's all about using your imagination and having fun! MOM... Use the print friendly button at the top of this page to print out.